The Huntley High School Treble Choir entertained an estimated 80 attendees Dec. 10 at our annual Volunteer Appreciation Lunch - after everyone had an opportunity to revel in the ambiance of the Rudolph the Red-Nosed Reindeer display. 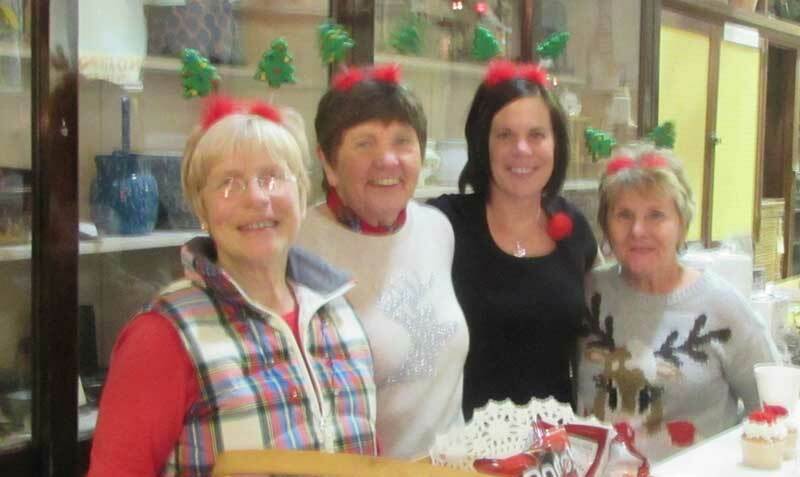 Pictured (below) are event organizers and "Party Girls" (from left) Mary Jane Schuring, Marcia Lockwood, Diane Urban and Coral Scranton. Marcia Lockwood was named the 2014 Volunteer of the Year.